One of the best treats that I get as a writer in games media is the ability to talk to the developers of games. To many people, a game may just be a $60 day one purchase or a bargain bin afterthought, but to me, games are about the incredible talent and passion of the people behind them. Even games that may seem cookie cutter by surface standards actually have quite a depth to them when you get talking to the people that spent years of their life putting them together. Perhaps most importantly, it shows that the people who create games are gamers just like us. It used to be that press conferences punctuated their trailers with the developers themselves talking a little bit about what we’ve just seen or will see. They provided context for the scenes, explanations of game systems, and instill a kind of passion and vision behind the games. Remember EA’s 2015 press conference when Unravel was revealed? Would it have had nearly the same impact had we not seen Martin Sahlin on stage, hands shaking, clearly passionate about the game he was creating? What if they had just as quickly moved on to some sports title or a Star Wars Battlefront trailer, without affording the creator some extra time? I began noticing the changes during E3 2016. Sony’s conference went at a breakneck pace. Trailer after trailer. Game after game. It was a breath of fresh air after we’d seen other major studios waste time droning on too long about things that gamers really didn’t care about. It didn’t waste ten minutes talking with a random sports star. It didn’t spend 15 minutes trying to set up the console as a home media center. I thought it was a great showcase at the time. It highlighted Sony’s focus on games, and that was a great thing as people began to question what this new generation of gaming consoles was all about. But it was missing that special sauce. Sure, Sony tried to dress it up for the live audience by adding the live orchestra playing the God of War music or hanging a few actors from the ceiling to play infected for the Days Gone trailer, but in effect, we were sitting in a theater watching the very same trailer reel that those at home were seeing. Why bother with the live event then? Why not just host a live stream, similar to what Nintendo does with Nintendo Direct, and call it a day? Ironically, Nintendo actually takes more time to talk to developers and explain their games and ideas in a Nintendo Direct than Sony does on stage anymore. The Last of Us Part II trailer was presented with little context or information, leaving many confused at its significance. Sony continued at full tilt. PSX 2016. E3 2017. Paris Games Week 2017. And we can expect that PSX 2017 will follow course. 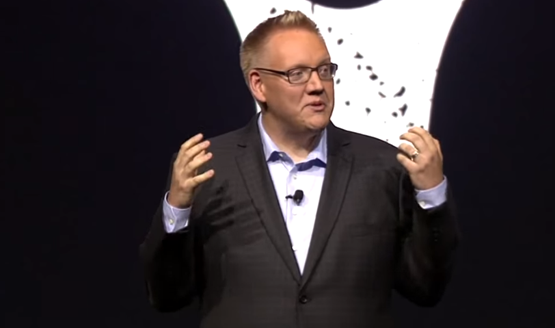 Sony seemed to grab onto their success with the E3 2016 and mimic what made that particular showcase so popular, but in doing so, they’ve removed some of the heart and soul of these press conferences. Yes, it’s true that there needs to be a certain cadence to keep press conferences interesting. Talking excessively to celebrities that are clearly just paid to be there and having ridiculous performances that have little to do with the actual games need to go, but we didn’t mean for you to swing the pendulum all the way to the other side, Sony. An hour and a half of trailers barely gives the audience time to process one before we’re whisked off to the next. Most recently, Sony’s Paris Games Week 2017 media showcase is drawing some criticism for the way it showed some trailers, showing the more light-hearted super hero Spider-man trailer, immediately followed by the dark and emotional Detroit trailer. There was no buffer. And it was immediately followed by a God of War gameplay trailer. No time to process what we’d seen. No information at all, aside from the trailer we were shown. 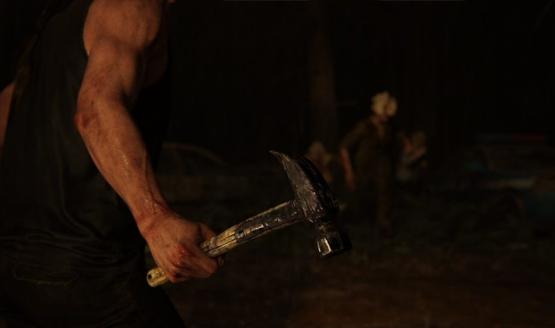 Similarly the much anticipated The Last of Us Part II trailer wasn’t so much a trailer as a completely out of context scene from the game, presented with no set up from the guys at Naughty Dog, and no explanation of the scene afterwards. All eyes are on the major video game studios during time like E3, Paris Games Week, and PlayStation Experience. This is when more casual gaming audiences turn their attention to the industry and pay attention to what there is to be said. What happened to having passionate gamers like Adam Boyes coming out on stage to make jokes about the latest Destiny expansion, or even getting someone from the development team to talk a little bit about what’s coming next? Why wasn’t Neil Druckmann on that stage following his The Last of Us Part II trailer to give us some better context? Where was David Cage attempting to explain the themes of domestic abuse ever present in this Detroit demo? These creators are the very people that more casual gamers need to see presenting these games. Adam Boyes, who is no longer with Sony, used to bring a life and excitement to any press conference he was a part of. The Paris Games Week showcase was only 45 minutes long, once you cut out the pre-show and post-show. I’m not saying that every single game shown needs a developer holding our hands and walking us through, but are you telling me that you can’t afford a few of the developers a couple minutes stage time in between a few of the trailers to provide more context and information? Just look at the Destiny community, losing their minds over what Curse of Osiris will or won’t contain, based largely on that trailer alone. That reaction could have been headed off at the pass by setting someone on stage to say a few words about the expansion. No, we don’t want pointless chats with sports stars (looking at you EA), and stop with the celebrities and dance performances (Ubisoft, you know what I mean). What we do want is games, and the people who create them are as much a part of games as the experiences themselves. Sony, slow down and bring back that window into game development. Let developers have some stage time. Present us with context. Give us an opportunity to process and digest the trailers we’re watching. And let the world know the kind of passion that the creators have for the things they are creating. If the conference needs to be longer to account for this, so be it. No matter the length, as long as the cadence is right–giving us content and context–you’ll have our attention.